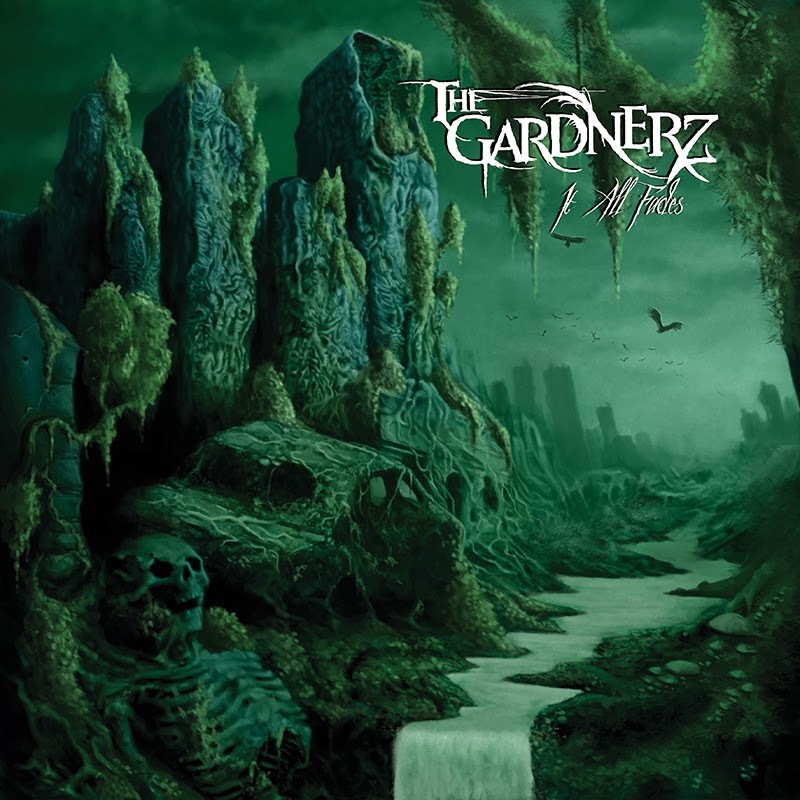 For the uninitiated, The Gardnerz is a young and talented band hailing from Skåne län, Sweden. This band has been dabbling with ideas in the realm of doom metal since 2008. After making their debut in 2011, through the acclaimed full length 'The System of Nature', this band released the follow up EP titled 'It All Fades' in 2012. The bass heavy riffs and pounding drums in the track 'Don't Look Back', kick off the EP and they manage to create a misconception in the listener's mind that this is just another mid tempo doom affair. But as the EP progresses, the band steadily and thoroughly banish this misconception and establish that it is a different type of beast indeed. All the elements that one would expect from a doom metal album are present. What sets the band apart though, are the things that they add in addition to the usual elements. The first thing that hits the listener is the emphasis on the lead guitar parts by guitarist Wilhelm Lindh. As the heavy bass and drums keep going in the background, Wilhelm lays down some melodic and beautiful sounding guitar leads. There are many sections where clean guitars are employed to emphasize the beauty of the leads. These lead parts add a morose and beautiful edge to the heavy crushing music. Another commendable factor in The Gardnerz's music is the vocal work by Niclas Ankarbranth, who covers a wide spectrum with his range. He handles both harsh sections and clean sections nicely, with his baritone-ish vocal tone adding a sullen depth to the songs. Francisco Martin's bass work has its own identity, as opposed to merely supporting the drums and the guitars. Coupled with Vedran Benčić's crushing beats, it firmly roots the music in the doom realm. To understand the uniqueness of this band, one just has to listen their cover of Darkthrone's iconic song, 'Transilvanian Hunger'. With clean arpeggios and female vocals (courtesy of Paulina Strihavka), they deliver one of the most unique covers of one of the most iconic songs ever. With a playtime of over 30 minutes, this band makes every track unique and special. Though they havent exactly reinvented the genre as a whole, they manage to add a lot of fresh and interesting ideas to it. 'It All Fades' is a beautiful piece of work and it offers a breath of fresh air in a genre where things can go stale pretty fast.